Evergreen Energy was founded by Rich & Sharon Vocke in March 2006. Both had been interested in solar power since the last energy crisis in the 1970's. 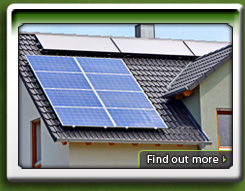 In 2005 they installed a 6 kilowatt solar photovoltaic array on their home in Southington, Connecticut. They were so pleased with the result, they were inspired to help other homeowners and businesses install renewable energy systems and Evergreen Energy was born. Shortly thereafter, they installed a geothermal heating and cooling system in their home and decided to expand the business to offer multiple renewable technologies. Wind energy was a natural addition to the menu where there's an appropriate wind resource. 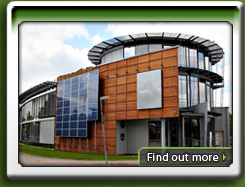 Their goal is to meet the specific needs of each of their clients by providing various renewable energy options. Rich Vocke holds an Associates of Applied Science in Electrical Technology and a Bachelor's of Science in Engineering Chemistry. He worked in the environmental consulting industry for 20 years before transitioning into renewables. Since Evergreen Energy started in 2006, he has designed, supervised and installed dozens of geothermal systems for homes and businesses, close to one hundred solar PV systems, several solar thermal systems and a few small wind turbines.